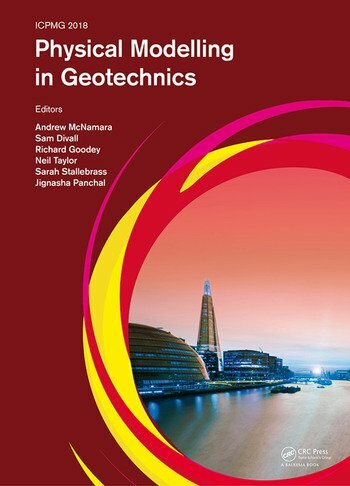 Physical Modelling in Geotechnics collects more than 1500 pages of peer-reviewed papers written by researchers from over 30 countries, and presented at the 9th International Conference on Physical Modelling in Geotechnics 2018 (City, University of London, UK 17-20 July 2018). The ICPMG series has grown such that two volumes of proceedings were required to publish all contributions. The books represent a substantial body of work in four years. 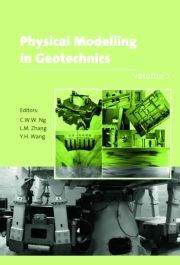 Physical Modelling in Geotechnics contains 230 papers, including eight keynote and themed lectures representing the state-of-the-art in physical modelling research in aspects as diverse as fundamental modelling including sensors, imaging, modelling techniques and scaling, onshore and offshore foundations, dams and embankments, retaining walls and deep excavations, ground improvement and environmental engineering, tunnels and geohazards including significant contributions in the area of seismic engineering. ISSMGE TC104 have identified areas for special attention including education in physical modelling and the promotion of physical modelling to industry. With this in mind there is a special themed paper on education, focusing on both undergraduate and postgraduate teaching as well as practicing geotechnical engineers. 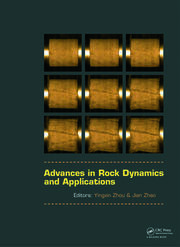 Physical modelling has entered a new era with the advent of exciting work on real time interfaces between physical and numerical modelling and the growth of facilities and expertise that enable development of so called ‘megafuges’ of 1000gtonne capacity or more; capable of modelling the largest and most complex of geotechnical challenges. 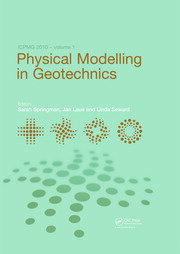 Physical Modelling in Geotechnics will be of interest to professionals, engineers and academics interested or involved in geotechnics, geotechnical engineering and related areas. The 9th International Conference on Physical Modelling in Geotechnics was organised by the Multi Scale Geotechnical Engineering Research Centre at City, University of London under the auspices of Technical Committee 104 of the International Society for Soil Mechanics and Geotechnical Engineering (ISSMGE). City, University of London, are pleased to host the prestigious international conference for the first time having initiated and hosted the first regional conference, Eurofuge, ten years ago in 2008. Quadrennial regional conferences in both Europe and Asia are now well established events giving doctoral researchers, in particular, the opportunity to attend an international conference in this rapidly evolving specialist area. Ambient pressure calibration for cone penetrometer test: Necessary? Andrew McNamara, Sam Divall, Richard Goodey, Neil Taylor, Sarah Stallebrass and Jignasha Panchal work at City, University of London, UK.